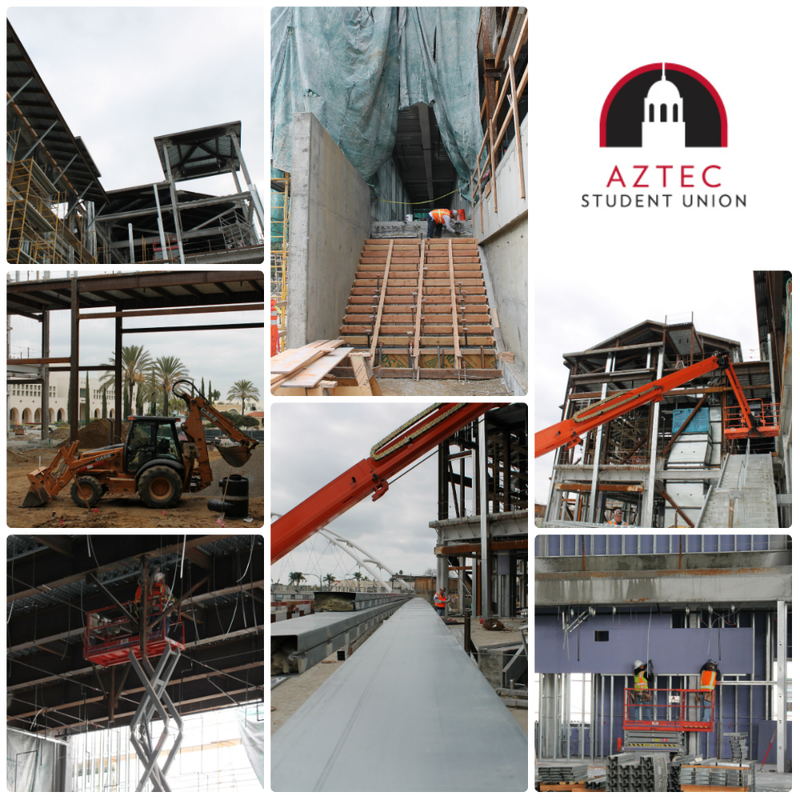 It’s Friday, which means another photo collage for all the Aztec Student Union enthusiasts out there! These photos were taken during this week’s bout of cloudy skies. There is a stairwell being built, drywall going up and lots of scissor lifts getting crew members up to the ceilings. Want more views of Aztec Student Union? Be sure to “like” it on Facebook, follow it on Twitter or watch the LIVE construction camera on the website.